Very good piques of tarariras and gilding, all identified with artificial lures. Places and techniques. Image gallery. Close to the city of Baradero, the Arrecifes River and down Pinto are two environments very suitable for fishing with lures (spinning) and try to catch Dorado and tarariras. Knowing the passion that awakens me this type of fishing, very fast, we accept the invitation of Daniel Suigo, guide and very knowledgeable about the area. Anticipated us that had very good fishing of gilt and tarariras and mode that we like to. A Friday we leave early with Eduardo Bracalente. From the city of Buenos Aires, after taking the Panamericana route is easy to reach. Continues to the 142 Km and there turn right, continuing about 9 km. Finally, again on the right and about 100 meters is the port of Baradero, where waiting for us the guide with your boat ready to start the day of fishing. The idea was to test first with the gilded, since Daniel had seen enough activity during the previous days. By the Baradero River we headed for the reefs. We would have 15 minutes of very pleasant sailing, since the Baradero is not very wide, and it is very difficult to raise swell by the action of the wind. Once admitted to the Arrecifes River and started its navigation, we saw a very beautiful landscape. We continue the March in search of accidents dipped sticks, trees, natural, outgoing or curves that will accelerate the speed of the current and form sliding, all places where lurks the dorado. In a moment, we spotted a sector that brought together all the sought after features, with a very sharp slide. “This is the place”, said the Guide, and we proceeded to tie the boat to a branch of a tree close to the coast, being perfectly placed so that we could fish with total comfort. The chosen to test technique was spinning, surely more sporty fishing system, and afforded greatest satisfactions, feasible practice both coast and from the boat. Rods can be made of fiberglass or graphite, the length varies between 2 and 2,40 m, with grommets for a front reel bearings and with a good record of Star, with capacity for 100 to 150 m of nylon from 0.30 to 0.35 mm in accordance with the size of the gold that predominate, although with a good quality 0,30 mm will suffice and will be achieved that the lure work more naturally. In case of using a rotating reel, the system is called bait casting. It is the same technique as the previous fishing, but the team is different: one-piece graphite rod with handle trigger and small sleeve, with a length of between 1.80 and 1.95 m and a power that can go from 8 to 20 pounds (1 pound = 453,59 grams). With this type of elements is achieved greater precision in the release. The only drawback is that he is difficult to throw very lightweight lures. When we work with lure by spinning or bait casting we realize if the artificial comes correctly swimming because the toe of the cane transmits its movement very significantly. At the time of start to fish we use different equipment. The Guide and I we are inclined to front with nylon-0.30 mm, while Eduardo chose a very good quality Rotary small loaded with 0.18 mm multifilament The lure is not very large, between 8 and 12 cm, with palette so that they gain depth quickly. 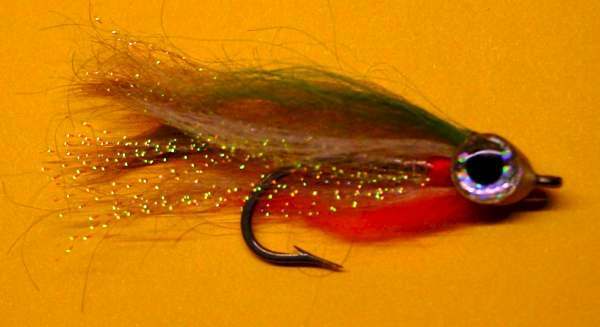 And also used lure rattling, which engage the loin and have no palette bib: sink under their own weight and have a very vigorous and fast action with balls inside that make them sound. A small leader of steel of about 25 to 30 cm long, with a resistance of 20 to 30 pounds should be placed between the artificial and the nylon of the reel. If we use a thicker than recommended cable, lure would lose naturalness in their swimming. Once we started to fish, the rivalries soon to arrive. All had violent attacks on our artificial, with several failed and captured many others who gave us long runs and jumps in his attempt to escape. 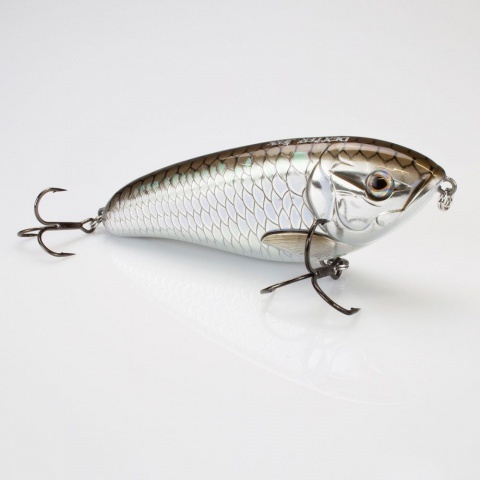 Buy lures it is advisable to verify that the triples are good quality, since if it is not the Golden can straighten them easily. We clarify that fishing was carried out with the return of all captured specimens. Then be totally as carried out fishing, we decided to terminate the day in terms of gold and go by the tarariras. We sail by the reef looking for the Baradero and by this to the riacho Pinto. Anyway, we as were by the Baradero, just saw a Bay or entry that promised tarariras stopped and made attempts. Thus captured several, but rather girls. Until the guide placed a ditch with its mouth the river blocked, but that after a few metres, it continued with clear and floating vegetation. Seeing her have no doubt: was the area ideal that housed tarariras. And we are not: soon fell the lure into the water had numerous attacks, many in catches and missed others. Fishing with surface lure, most importantly see the explosion in the water when the tararira is released over the artificial. As more attacks by irritation that starvation, goes with so much violence on the artificial that many times you erra and water bursts: a show that already fills us with pleasure even though the fish has not been caught. The majority of the tarariras were small, except some screenshots of good size. The equipment used were the same that we use for the fishing of the dorado. Another thing to keep in mind before scheduling a fishing trip to the area is to consult the Guide on the State of the River, according to their height changing pique. For example, the week prior to our departure had more water and the tarariras that came in the Pinto were good sized. On the other hand, the day we arrived as there was much downpipe we could not access good fishing of that environment locations. But as the fishing always gives us another chance, we will return for the good of this attractive riacho tarariras. Baradero is a place close to Buenos Aires, for easy access and very good for fishing of many varieties that harbor waters.